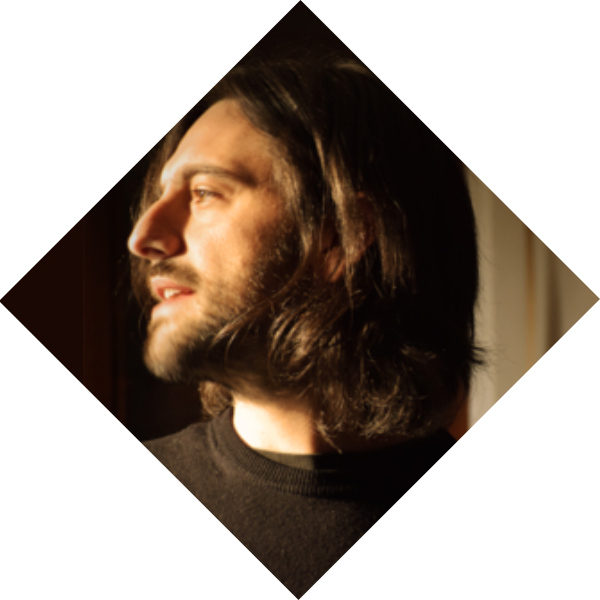 Luca Marchesini is an Italian rock and pop guitarist and arranger from Turin, with a particular love for black music (Soul, Funk, R’n’B, Blues, Reggae, Dance…). 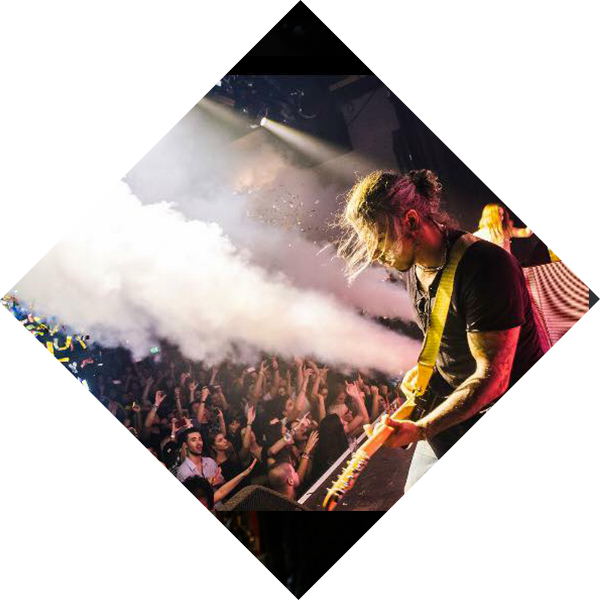 He is known for his live sessions and studio recordings in italy, Europe and the US with artists of the likes of DR SHIVER, NICKY ROMERO, VALENTINA GAUTIER, DANILO AMERIO, I RIGHEIRA, LITTLE TONY, POLINA. He has also produced various works for ART & MUSIC, PROTOCOL, BIT RECORDS, CALIEL, D.A.M.A. RECORDS, COLONNA SONORA di FARINATTI, C.R.C., FLY MUSIC. 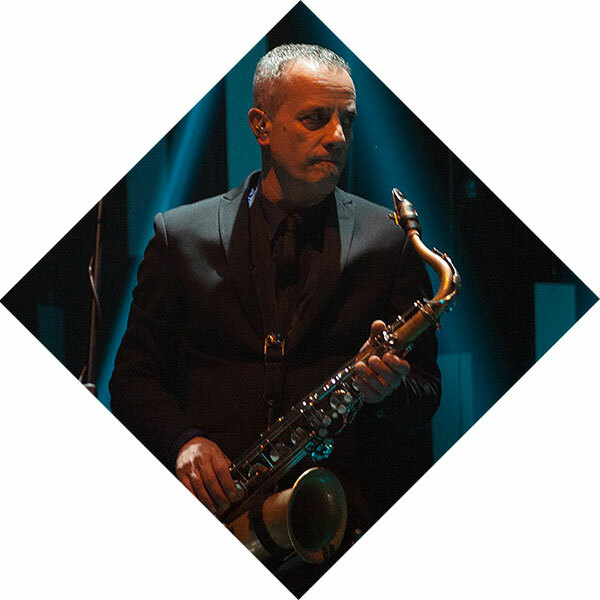 Born in Milan on 02/06/66, he has been studying music since his childhood, beginning with the transverse flute then switching to the saxophone at the age of 14 with teachers Ezio Allevi and Paolo Tomelleri. He has been a professional since the end of the 80s, starting from the bottom by playing in lots of Italian clubs in different formations, he then went back to his studies. He graduated from the Jazz Civic School of Milan in Saxophone with Giulio Visibelli and in Harmony Theory with Fabio Jegher. He has recorded more than 60 albums with Italian and international artists of the likes of: Giuliano Palma, who he has been on tour with several times for the 2013’s edition of Zelig; has toured with and registered 3 albums for Nina Zilli from 2010; Ronnie Jones , Franziska , Andy J Forrest , Reggae National Tickets (winners of the worldwide award ITALIAN REGGAE AMBASSADOR), Lorel Aitken , Smoke , Platinette (as woodwind arranger and saxophonist), Soul Spinner , Lorenzo Fragola, Mudimbi , Roberto Vecchioni , Biagio Antonacci , Piero Dread , Marracash ,Moreno, Red Canzian and many others. 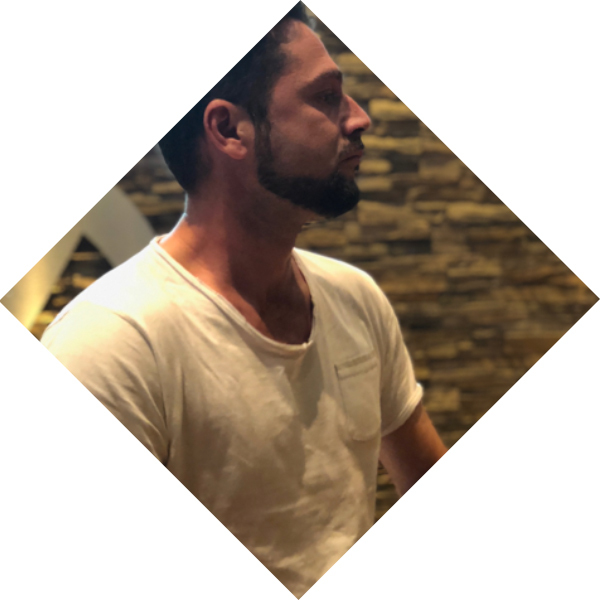 He is author of more than 300 tracks edited by TV editors such as RAI, RTI, DLMUSIC (USA), EARMOTION (all over Europe and Japan), and also author and producer of important jingles for Radio Instore among which: Bennet , Sma Unes , McDonald ecc. Born on the 3rd of December 1973 in Bollate. Riccardo Gibertini studied Jazz at the civic courses in Milan from 1992 to 1996 with Emilio Soana, who he plays in the Jazz Civic Courses of Milan band with. From 1991 to 1999, he played in lots of Italian clubs with Rebeldes in the Reggae Rockstedy Ska scene and 88Tasti (funk). From 1998 to 2001, he played in the Reggae National Tickets band (winners of the ITALIAN REGGAE AMBASSADOR Worldwide Award in 2007). From 1998 to present day , he has been recording more than 10 records with Giuliano Palma & Bluebeaters, who he played several concerts and participated in the TV show Zelig with. From 2009 to present day, he has been recording 4 albums with the artist Nina Zilli. He has been making tens of records with other Italian and international artists such as: Ronnie Jones , Franziska , Smoke, Andy J Forrest , Lorel Aitken , Platinette (as co-arrangers for the horns section and trumpeter), Sorelle Marinetti , Soul Spinner , Lorenzo Fragola, Mudimbi , Biagio Antonacci , Piero Dread , Marracash ,Moreno, Red canzian and many others. 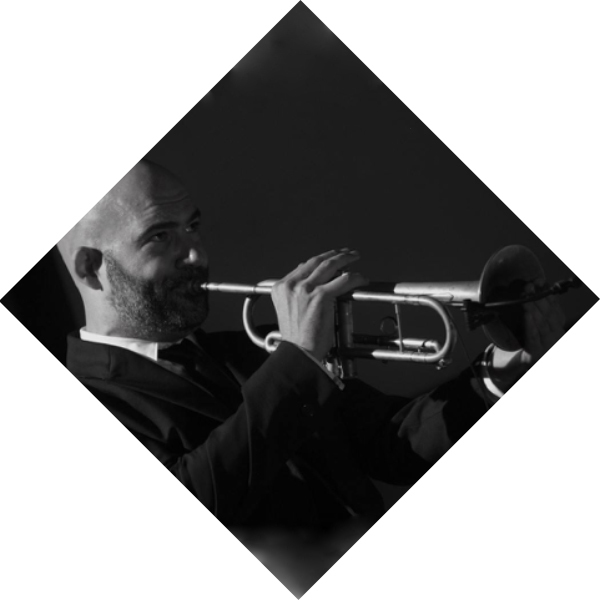 He participated as trumpeter in Ricky Martins’ 2017 performance in Sanremo. He is the author of hundreds of tracks published by RAI , RTI , DLMUSIC (USA) , EARMOTION (IN TUTTA EUROPA E JAPAN). He started playing the bass at 16 years old as self-taught, improving his technique guided by his teacher Alex Tavolazzi. From 1985, he has worked as a professional bassist in several orchestras in Turin. At 20 years old, he moved to Milan, continuing his musical research as arranger and composer, spanning from jazz to Latin, from funky to blues and from rock to pop. Other than several works in the studio as composer and arranger (Winsom Agency – 21 Network, Vince Tempera, Alan Pagani, Mario Ragni, Bruno Oggioni’s A&M Studios), he produced several soundtracks for corporate documentaries as well as jingles and TV advs. He attended the Montreaux Jazz Festival with Luiz Serravalle and his Brazilian orchestra, who he has been playing for three years with. He attended various TV shows as regular guest: Italia Forza (Telemontecarlo), Generazione X (Italia 1), Non Dimenticare Lo Spazzolino Da Denti (Canale 5), as member of the Bracco Baldo Band (Max Longhi as arranger and and keyboardist, Giorgio Vanni at the voice and harmonica, Stefano Pecorelli at the guitar, Maurizio Gula at the drums, Laura Piccinelli at the microphone, Leonardo Mastronardi at the bass), and regular accompaniment band for TV shows. During his career, he has been working with several Italian artists spanning numerous music genres such as Latin (Beija Flor), Jazz and Funky (Luca Zamponi Quartet: Walter Calloni at the drums, Alex Bianchi at the keyboard, Luca Zamponi at the guitars, Leonardo Mastronardi at the bass), jazz, pop and rhythm & blues (BB Band: Beppe Baldi at keyboards and clarinet, Roberto Cairo at the guitars, Cesare Bernasconi at the drums, Paolo Barbieri at the tenor saxophone, alto, Soprano, Leonardo Mastronardi at the bass, Debora Lombardo at the voice, Oscar Cecovig at the voice), the Tony Spada Band. From 2012 to 2015 he joined Love Italy, a musical project aimed at reconsidering the italian melodic heritage and exporting it to Asian countries, with international artists such as Albano, Riccardo Fogli, Ricchi&Poveri and Totò Cotugno. 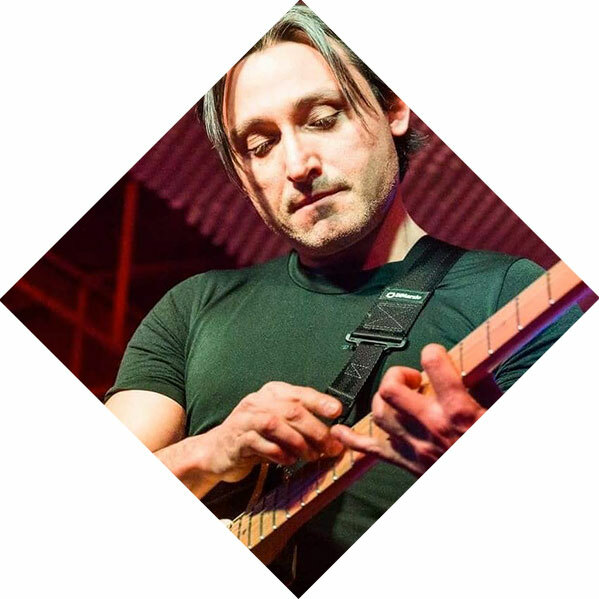 Multi-instrumentalist guitarist from Turin, he has worked as arranger and session man for several Italian and international artists. He is now teacher of modern guitar and bass and also works in both studio and live performances. Kristian Vivo, drummer since 1996, has collaborated with several historic events of the Life Supalva club New York Bar Mtv One night Tour. Enrico Allavena, born in 1977. 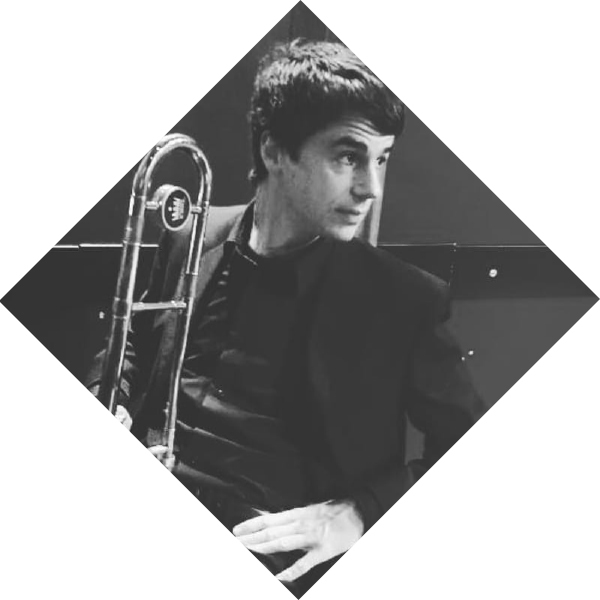 After studying at Centro Jazz Torino, he graduates in trombone from the Niccolò Paganini Conservatory in Genova and then obtains the Academic Diploma of Second Degree in Jazz Music. During his studies, he starts play concerts, taking part in the Colorado Caffè band and records an episode of the Italian TV show ‘Super Quark’ with Gianni Bassos’s Big Band. Other than in the TV shows mentioned above, he takes part in Zelig (2013), Sanremo Festival (2014 and 2016) and Dopofestival (2018). During those years, he recorded for various artists such as Giuliano Palma & The Bluebeaters, Giuliano Palma, Willie Peyote, Perturbazione, Arisa, Mario Biondi, Edoardo Bennato, Marcella Bella, Rocco Papaleo, Baustelle, Totò Zingaro, Statuto, Claudio Pacini, Aldo De Scalzi. Currently, he collaborates with Giuliano Palma, The Bluebeaters, Willie Peyote, Torino Jazz Orchestra, Jazz Club Torino Orchestra, Survivor In Da Funk, Mishkalè, Soulful Torino Orchestra and Lippa Jazz Band. Musician, composer, producer, multi-instrumentalist, video-maker. Born in Milan, he started to play guitar at the age of 9 inspired by his home town’s music influences. At the age of 11 he moved with all his family to Laveno Mombello, a small and gorgeous reality on the shore of the Lago Maggiore (Varese) where he could easily get in touch and built solid friendships with valid local musicians, some of which he made both studio and live experiences with, performing over most of the national territory. He easily learnt to play various instruments, firstly his own voice, then followed bass guitar, drums along with the use of software to produce and record music, which led him to start the first experiments of home studio recording. In years of activity he filled up a couple of hard disks with more or less complete tracks. Soon he felt in need to have his own playing /recording place so with the 3 members of the “ 8” collective, he founded “8house”, where, since 2011, he gathers the most various and talented characters to create music, (mainly psychedelic/rock) publishing most of their productions on Youtube. In those years he cooperated with different realities such as: Ophiuco, Menimals,Downlouders, Lory Muratti, The Moors (the doors tribute band) Art & Music recording and famous Italian YouTubers. 8house is certainly a music projects’ incubator that contains another personal project: MORS. Between 2015 and 2017 he got together the best tunes of his career until then, locked himself in the studio to record his very first self-produced and played solo album “Laid Back”. Born in Erba (Como), 26/08/1973. He begun studying music and playing the accordion at 6 years old, continuing for the rest of his life. Meeting the amazing accordionist Eugenia Marini has reportedly been very crucial to Braga's personal formation. 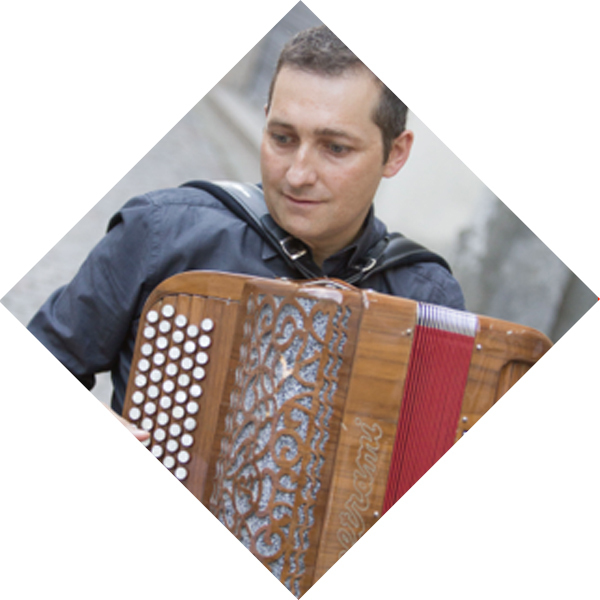 Flaviano Braga is considered one of the most versatile and intense accordionists in the Italian music scene. Although he knows very well the music tradition, his music is eclectic, refined and spans between lots of contemporary genres. In 1992 he embarks on an enduring collaboration with Livio Gianola, one of the most amazing Italian guitarists. With Gianola, he has played lots of concerts in Italy and abroad in the Flamenco scene. Also, he has been collaborating with Max De Aloe for 15 years in the Jazz and Tango scenes. 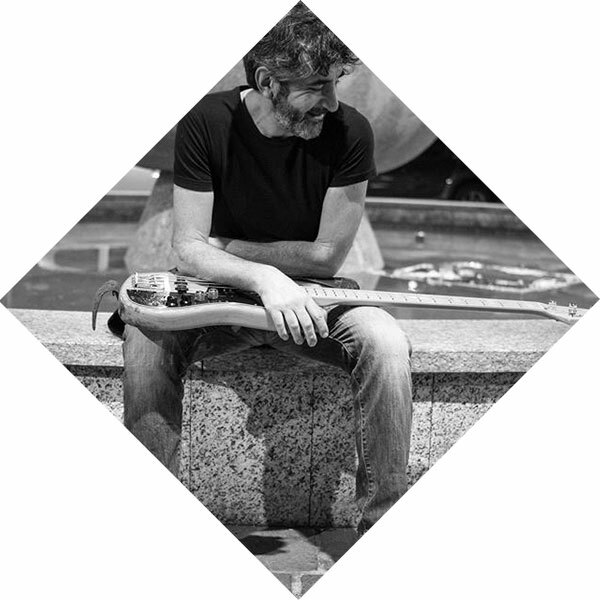 He has played with various musicians of the likes of Marco Detto, Stefano Bagnoli, Max De Aloe, Francesco D'auria, Giuseppe Canone, Flavio Minardo, Simone Mauri, Meno Porcu, Claudio Oscar De Los Rejes, Cristina Benitez, Mara Terzi, Iva Zanicchi, Eugenio Finardi, Antonio Davi, Roberto Olzer, Vincenzo Zitello, Luca Zamponi, Tazio Forte, Cecilia Gomez, Marco Berti. He has played in several festivals in Italy, Switzerland, Spain, Germany, France, Netherlands, Belgium, Austria, Turkey, Czech Republic, Slovenia and Japan, where he performed in some of the most important theaters of the country such as "Tokio Bunka Kaikan", "Kobe Kokusai Kaikan", "Royal Festival All Osaka". In 2010 he began a new and exciting musical journey with the Bandoneon. 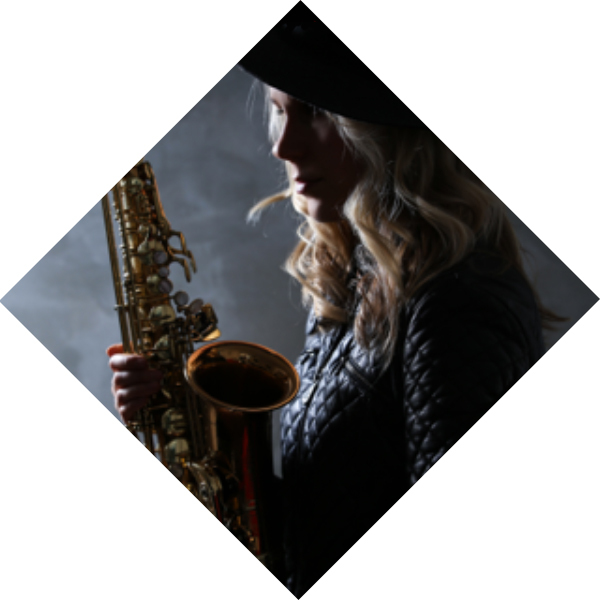 Sara Kari, born in 1991, is a Finnish saxophonist, composer and session musician, currently living in Italy. She began playing the piano at the age of seven. As an 11-year old she switched to alto saxophone and graduated from the Helsinki Pop & Jazz Conservatory in 2013. She's a member of the Finnish-Italian jazz group, The Essence Quartet, whose debut album titled Here & Now was released on June 26, 2017, by Emme Record Label. In 2017 she appeared on a new music-related TV show called "Nessun Dorma" on Rai5. She plays lead alto in the JCT big band, the house big band of the Jazz Club Torino and collaborates with various ensembles in Italy and abroad.